The client, LDK Logistics, is a non-asset based, shipping logistics and tracking management company founded on the principle that exceptional service must be innovative, flexible, and flawless. They are the inside, delivery agent of choice for a diverse range of corporate customers-–navigating healthcare, telecommunications, retail, kiosk, display, and other high-value / high-visibility item requests. These clients trust that their deliveries will be carried out without delay or delivery errors. LDK Logistics provides in-home delivery and final mile logistics for products requiring additional care and set up. There is one facet of LDK Logistics that diverges from most competing asset management systems. When juggling a wide array of supply chain relationships, manual processes debilitate operations and subject tracking mechanisms to inaccuracies. For this reason, LDK leverages a sophisticated, proprietary tracking software; with this software, LDK guarantees consistency, affordability, and security for customers. 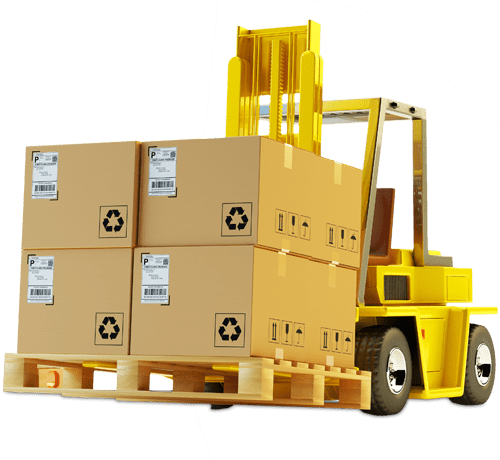 However, like all IT infrastructure, LDK's logistics software requires maintenance and updates to remain relevant in a highly dynamic environment. The client wanted to further diversify and optimize their business processes with automation. LDK Logistics reached out to Chetu, a certified software development company with vast experience developing and integrating custom logistics management software to implement a HR/Employee Management system, as well as implement a screen display for real-time data updates for order statuses. This HR/Employee management system would complement their legacy logistic software, engineered to work in conjunction with their internal system rather than as a disparate entity. The client also wanted to integrate their Office365 account so that their calendar would open automatically by clicking on the calendar in the application. Additionally, LDK Logistics needed to implement the sales management system and shipping logistics management system to oversee sales activities and access-related records. During development, Chetu and LDK Logistics worked together to overcome a few obstacles that threatened to hinder the project's success. The main hurdle concerned the integration of Office365, as it was not possible for an LDK Logistics user to log-in automatically to their account by clicking the calendar in the app. As an alternative, Chetu used the Microsoft Graph API to access the user's calendar data behind the scenes to show their calendar items on the screen in the application. To facilitate real-time data, Chetu thoroughly tested a series of technologies related to these analytics. SignalR was finally chosen because the client's system was based in .NET, and two system pair well together, preventing any operational silos. Microsoft Graph API (for Office365 Calendar Items access). The finished application provides robust employee and HR management services for the client. The product allows LDK Logistics employees to use the order status screen when managing real-time order updates. The application can also be used to see the calendar items present in the user's Office365 Calendar. By tracking a driver's geo-location, managing the availability of their loads, and inputting bids, the application satisfies the client's need for sales and transportation management functionalities. Overall, the client received the source code to a multi-faceted HCM app that forged natural dialogue with their preexisting logistics management system. I had a great and pleasurable experience working with Chetu and would highly recommend their services to others.